In a world that is technologically advancing, it is not a surprise to find out that even today we have innovative shipping containers. Most manufacturers have gone out of their way to produce some of the best and most advanced containers in the market to meet the ever increasing demand for containers that can help companies to ship or store hazardous goods or items. One advantage about these containers is that they are versatile and strong hence can handle a large number of goods that are needed. 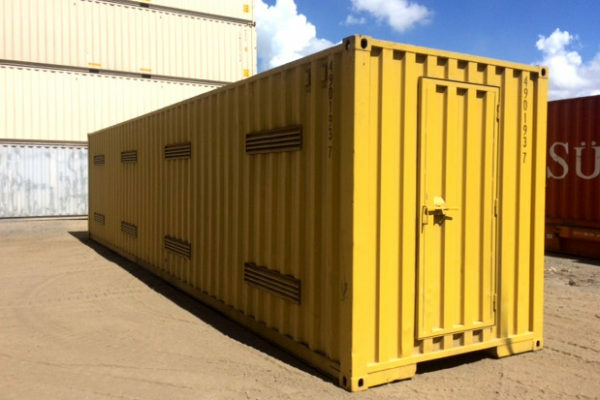 The 40ft dangerous goods shipping containers provide the kind of protection that any industry that would want for its hazardous goods that are either shipped or stored. One key differentiator with the 40ft dangerous goods shipping containers is the fact that they use the most advanced technology for safety purposes. Materials that are hazardous or toxic can be transported using these containers. They are designed to protect the materials that are being stored or transported but they also protect the staff and the public hence making it a prerequisite for companies that want to store dangerous items or want to ship dangerous items. The 40ft dangerous goods shipping containers are very good especially when you are handling goods or materials that are highly flammable and combustible liquids. These containers are normally used for storage and shipping of class 3 hazardous materials. The main features for these containers are the following. The containers are fitted with an emergency exit door which helps in case of a fire or an emergency. It has a ventilation system. The containers have taps that help in case there is a spill in the container. When shipping items that are highly flammable then the best container to go for is the 40ft dangerous goods shipping containers since the can handle such items and also handle combustible liquids. Since the container is fitted with a tap, it can also handle non-hazardous liquids that can spill during transportation. With the containers being waterproof and weather-proof, they provide an extra layer of protection such that the items that are being transmitted are safe till they reach their final destination. The containers that have proper ventilation are the best that any company that is in Australia should go for. Amidst all the accidents that occur now and again due to thenegligence of the staff handling the containers, it is also good to get people who are well skilled especially when it comes to how to handle these containers. The 40ft dangerous goods shipping containers should be those that are able to meet the regulations of the authorities of the Australian government and are approved by them. Most of the 40ft dangerous goods shipping containers should be those of high quality that can easily handle the hazardous materials. Your safety is only guaranteed when the quality of the container is above board hence it is important that quality containers will always deliver. Good containers that have proper ventilation are the best to secure or go for in the market.